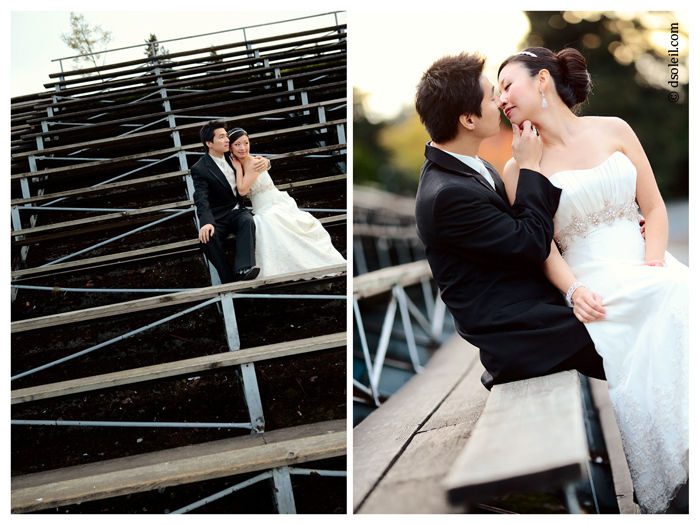 Nicky & Louis are high school sweethearts who were married this fall at the Sutton Place Hotel in downtown Vancouver. 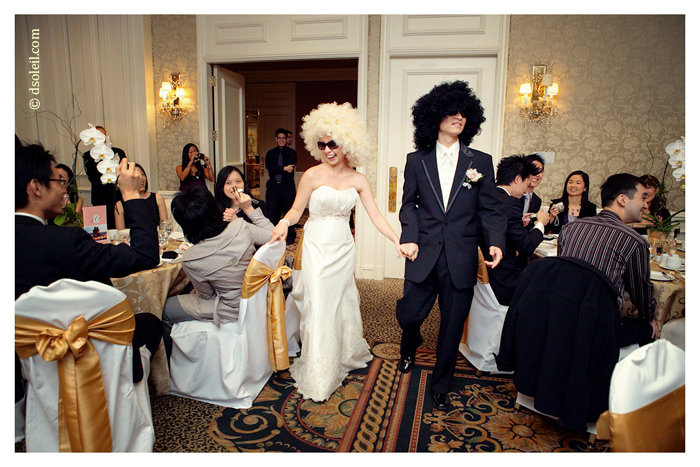 They rocked the reception with their funky’licious grand entrance to ‘Gold Digger’. Their guests were pumped, but not as much as when Nicky surprised Louis with a choreographed number to Lady Gaga’s ‘Poker Face’! For our last set of photos, we visited their high school and the neighbourhood where they lived just a few houses down from eachother. 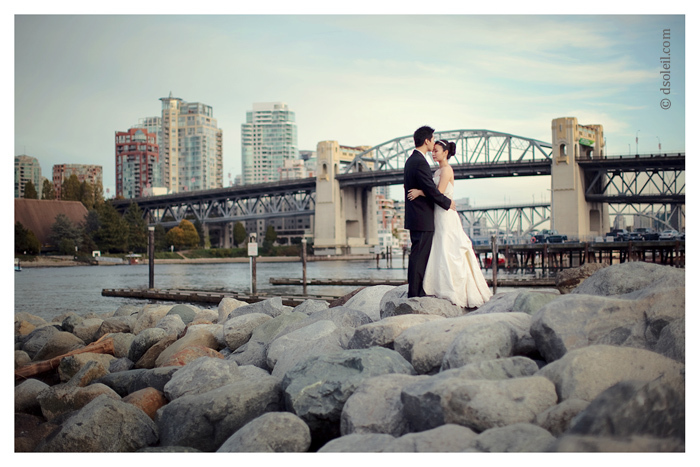 It was literally a walk (or piggy back) down memory lane for them on their wedding day. Looks like it was a fun wedding. Those wigs are hilarious! 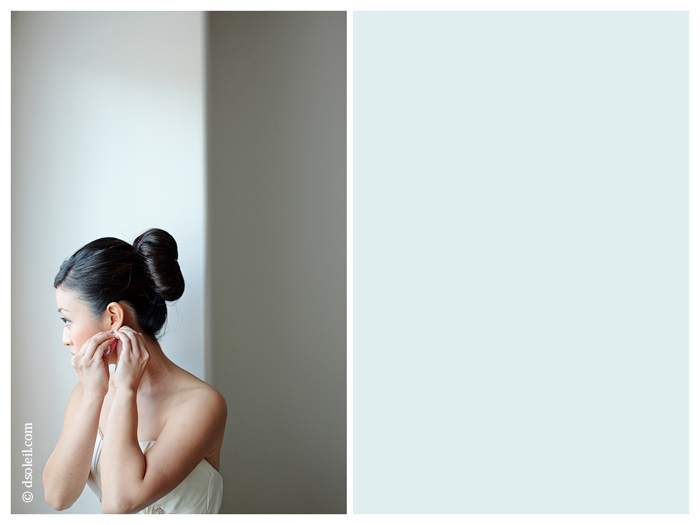 Love that first shot of the bride. So simple and beautiful! 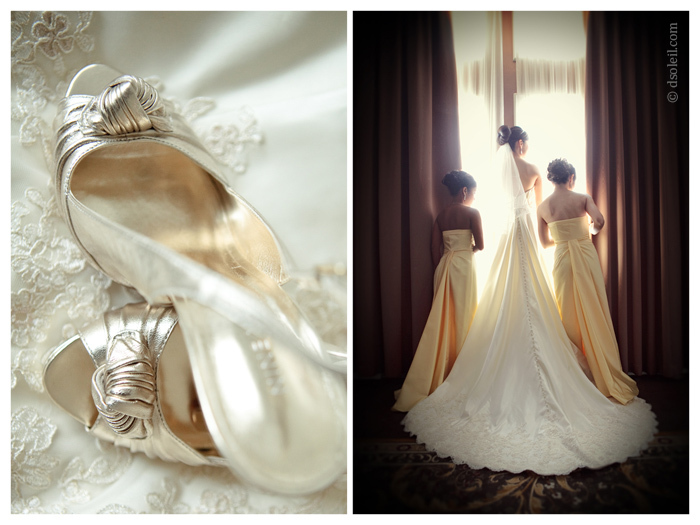 Detail shots are great – like the shoes on the wedding dress!